This year the North Carolina State Firefighters’ Association welcomes Chief Anthony Penland as President of the Association. Anthony’s commitment and passion have been evident in his 6 years on the Board and his service both in Swannanoa, Buncombe County, and the Western North Carolina Firefighter’s Association. Leadership change is a critical time for any organization, their stakeholders, and the new leader themselves. Successful leadership transition continues the success of the organization, creates new successes and new ideas, and is less stressful on the new leader. The need for the new leader to get up to speed quickly, understand the business and organization, maintain and build relationships with key stakeholders, and understand their own personal strengths and needs in the context of this new role can be a challenging task. An organization that does not prepare for future leadership transitions can often find themselves in a lull when a change occurs. 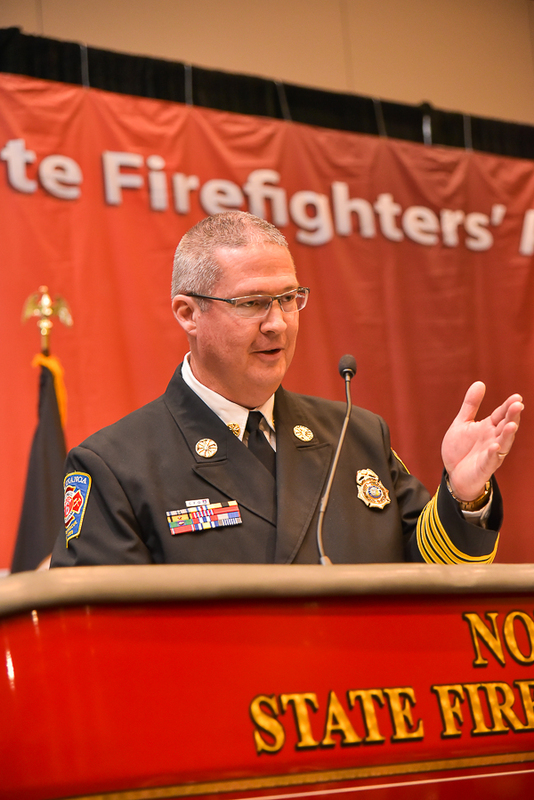 In an organization like the North Carolina State Firefighters’ Association, leadership change occurs on two levels, the Board and the Staff. Staff leadership changes are infrequent, but for the Board it is an annual occurrence. For the NCSFA Board, this change transition is built into a Board structure that allows a significant time of study and attendance as the individual Board members move up through the ranks. By the time they reach the position of President, Board members have served several years and have been mentored by previous leaders on the Board. Subject knowledge, stakeholder awareness, and a history of the issues before the organization are already there. They can rely on the consistency of staff, and the experience of Board involvement for several years. Moving the organization forward then relies less on a learning curve and has a great deal more to do with personal strengths. During my six years as Executive Director these transitions have been successful, and this year with the swearing in of Chief Anthony Penland from Swannanoa as President the success continues. In any organization, of the many things a new leader has to consider, one question should always enter their minds: How do I use this leadership transition and my talents as a launching pad to continue moving the organization forward? The desire to look one year further forward into the future for what the organization needs, one year further forward for concerns and changes in culture, and one year further forward to keep the organization remaking itself. One of my favorite quotes concerning leadership actually comes from “Alice in Wonderland”. “Would you tell me, please, which way I ought to walk from here?” asked Alice. “I don’t much care where,” said Alice. “Then it doesn’t much matter which way you walk,” said the cat. There has to be a desire, a target, or a destination for the leader. Otherwise simply moving in circles seems successful. Peter Drucker, an author on leadership indicates that, although leaders have an almost limitless diversity in many areas, they also behave much the same way. They do not start with the question,“What do I want?”,but start out asking “What needs to be done?”.They next ask, “What can and should I do to make a difference?”.NCSFA leadership has done this over the years. As our new President Anthony Penland quoted President Truman at the swearing in ceremony during conference, “It’s amazing how much can be accomplished when no one cares who gets the credit”. I think Anthony has direction and continued goals for our association. The NCSFA has been blessed with leadership over the years, and during my six years I’ve enjoyed working with some great ones. Regarding the quality of a leader, Warren Bennis said (and I paraphrase): “There are four ingredients leaders have that generate and sustain trust. Constancy is about staying the course. Congruity is about leaders walking their talk. Reliability is about being there when it counts. Integrity is about honoring commitments and promises. The NCSFA Board structure allows for time to learn the organization, it’s stakeholders and the issues. However, you still need good people, and the North Carolina fire service has been blessed with excellent people serving them on the Board of NCSFA.